There’s a very important topic in regards to packing and carry-on airline travel that we, shockingly, haven’t discussed too much on this site yet: the personal item. Most airlines will allow your carry-on luggage plus one personal item, which is often listed as a purse, a laptop, a briefcase or something of equivalent size. 1. Take only exactly an item that is listed by the airline, if they list any at all. The easiest way to avoid any dramas at check-in or boarding is to bring from their mentioned list, so a handbag, a laptop bag and so on. 2. Make sure the item is as small as possible in appearance. Downsize your purse or daypack to a size that is just enough. If you have a somewhat bulky bag that isn’t full, try to cinch it down or flatten it against your body (depending on the bag), so that it doesn’t look like more than a personal item. 3. Make sure the item can fit under the seat in front of you. If you chose an item that is small, then this shouldn’t be a problem. And also make sure that you store that item under your seat and not in the overhead bin when you already have a carry-on item up there. Personal items for carry-on should fit under the seat in front of you. The most important part of this is to consult your airline’s rules first, just to make sure that what you’re doing is acceptable. On many airlines, the personal belonging isn’t factored into the carry-on weight restrictions; on some it is. Some airlines don’t give a strict size limit for personal items while others do. For those occasions that the personal item’s weight is counted into the total carry-on weight limit, the extra weight of your laptop, camera, books or other item can completely ruin your carry-on only goals. “In addition to your carry-on baggage allowance, you may also carry on board one small personal item such as a handbag, laptop computer*, overcoat, small camera, a reasonable amount of reading material or a small amount of duty free goods (where permitted). “Economy passengers may bring one main item of carry-on baggage and one other small item, with a total combined weight of up to 7kg. “Personal item – includes: purse, briefcase, laptop bag OR a similar item such as a tote. The personal item must be smaller than your carry-on bag and must fit under the seat in front of you. “Personal bag (flights to Brazil): 45cm x 36cm x 20cm (18in x 14in x 8in) including handles, pockets and wheels. Personal bag (all other flights): 40cm x 30cm x 15cm (16in x 12in x 6in) including handles, pockets and wheels. “The maximum dimensions for your personal item, such as a shoulder bag, backpack, laptop bag or other small item, are 9 inches x 10 inches x 17 inches (22 cm x 25 cm x 43 cm). On shorter trips, like weekends away, I’ll usually take a small daypack or weekender as my main carry-on bag, and then a cross-body purse as my personal item that can also hold my iPad if necessary for the trip. On medium trips that don’t require much special gear and/or clothing, I like to take one good-sized carry-on bag (like the 26L Smart Alec from Tom Bihn), store my laptop in it as well, and then take a small purse as my personal item. A 25L carry-on suitcase with Pacsafe Slingsafe daypack as personal item. On bigger trips, I like to use the personal item as a place to stealthily stash heavy, small items that would otherwise take my carry-on only bag over weight restrictions. So a guidebook, a camera and/or phone, cables, laptop, etc. I tend to also throw in a small (very compact) handbag or wallet in the daypack that I can pull out at airport cafes and on the plane when running to the restroom. The goal is to make the personal item as compact looking as possible, unless of course this airline factors in the weight of the personal item into your total carry-on capacity. However, not all airlines are created equal, so it really depends on the rules laid out on the the airline’s website as to how I will pack. For example, Air New Zealand gives a very specific photo example of what they consider a personal item versus carry-on luggage, and that means I would not stuff as many things into my laptop bag as I would on other airlines. The Sea to Summit Ultra Sil stuffable backpack makes a perfect personal item. A stuffable bag – We’ve discussed the benefits of stuffable bags on the site, so a quick read will get you up to speed on several options. I like the stuffable bag because when you’re not flying, you can cram it into your normal luggage, but when you need to have a bag that might be bigger than a handbag for in-flight necessities, it’s there in a flash. 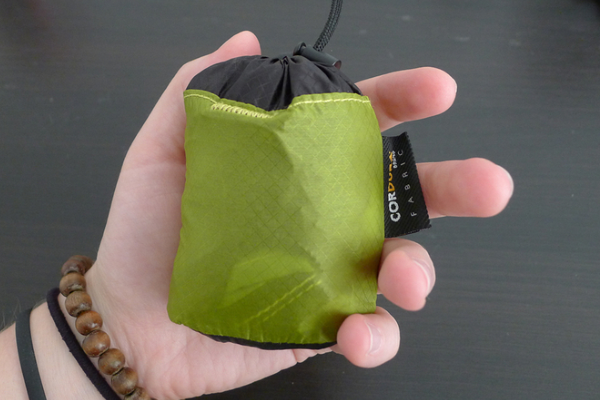 A small daypack – The smaller the better! We highly recommend the PacSafe Slingsafe 300 GII as it’s small in looks yet surprisingly spacious inside, and it has all those additional safety features that make PacSafe bags so desirable for travelers. A camera bag – If photos are your thing, then a camera bag can be the perfect personal item. And, if you get the right bag, you can also use it as a purse. Of course, traveling with tons of camera gear as your personal item may cause dramas at check-in and boarding (and security for that matter! ), so keep that in mind. A larger handbag – Bring along one of your bigger handbags- not like your weekend trip bag- but something a step up from the normal grab and go to the shops bag. A messenger bag – They’re usually slim and sit close to the body, yet work for carrying a laptop and other small extras and storing easily under the seat in front of you. A tote bag – Tote bags are great because they generally pack up super small when not in use. They’re perfect for extra mags, an iPad and other bits and bobs. or bring a really lightweight stuffable tote that can hold the contents of the daypack while the daypack gets packed away in transit. Time to share. 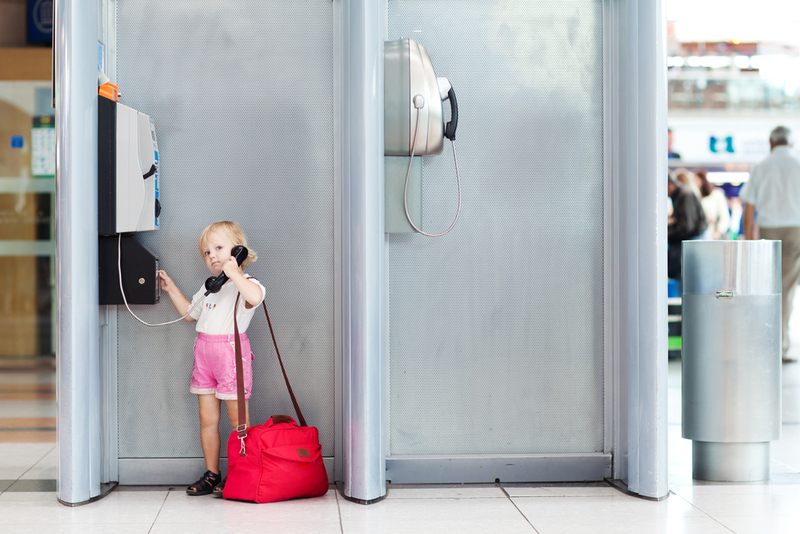 What do you use for your personal item when you travel? When I take domestic flights here in the US and go carry on-only, I bring aboard my wheeled carry on suitcase as well as a Targus Drifter II laptop backpack. Granted, I don’t usually have the Targus stuffed completely to capacity, but I’ve never been turned away over it, either. It fits under the seat in front of me but is large enough to hold an extra change of clothes that won’t fit in my suitcase if needed as well as everything I’ll need for entertainment and comfort on the flight. I’ve never flown internationally, so I don’t know what the rules would be like there, but I’ve done it on United, American Airlines, and Delta flights before and never had an issue. Hi. So I’m traveling domestically and its been a while since I’ve traveled by air. I ‘ve fallen in love with the X-Large Chevron Print Canvas Beach Bag Tote – 22″x15″x6″. Flying with delta (22″ x 14″ x 9″), is this size pushing it? I’m hoping to use a medium size suitcase as my carry-on, a backpack, and a rather large handbag, none filled to capacity. I’m flying domestically into MSP and then JFK and later to SFO. Do you think they’ll give me an issue? I was thinking that I could place the suitcase overhead, the backpack under the seat, and my purse on my lap. I’m super nervous that they’ll give me trouble. It’s my first time flying alone, and my first flight in about 5 years. Thanks! I have a small cross bag that holds so much stuff. I don’t like to carry anything unnecessary for the flight though because I don’t want to be rifling through my bag looking for stuff. I don’t like tote bags because often they don’t close and I worry that something might fall out during the flight and get lost but sometimes will throw my handbag into a tote bag so that I can carry an extra jumper or cardigan. We fly ultra-low-cost carriers a lot (Frontier and Spirit both are hubbed in Denver), where you ONLY get a personal item for free, no carry on. Maximizing the personal items has become the game. Over Christmas I used the TLS Mother Lode Weekender Junior backpack and it was great. It fits under the seat if you don’t over pack it, but you can still fit a ton of stuff in it. If your main luggage is a suitcase I think this is the best option for optimizing your packing space. I took advantage of the lack of weight limit too! Spirit’s checked bag weight limit is 40 lbs so I had all the heavy things in the backpack to compensate. The Weekender Junior is a little long for most personal item dimensions but it can squish! I also rarely see airlines policing backpacks. I was wondering how many times you have traveled with that bag? The bag I have is 19x12x7 and I’m scared they’ll nick me 1 inch (or 2 on spirit air). what’s the possibility on that? Thanks. I’ve probably flown it about 5x, carriers being Frontier, United, American, and Spirit. I’ve personally never had a problem, though I have heard of Frontier measuring bags at the gate during holidays. Honestly, if it fits under the seat in front of you that is the most important part. It’s your own footspace that suffers. I use my hiking daypack minus the water bladder…plenty of pockets, easy on my back and I place my small purse in it with my Kindle, phone, chargers and meds. Never had any problems taking it on along with my rolling carry-on suit case on American, United or Southwest. I travel internationally and use a fisherman’s/photographers vest which has a ton of pockets to stash an amazing amount of gear. It doesn’t appear bulky, and as it is an article of clothing I have never had an issue. I take it off and put it on top of my carry on in the overhead bin, or on top of my personal item under the seat. Be very careful with the Air New Zealand carry on restrictions. When I flew with them from Australia to move to NZ, I had a carry-on suitcase and a slim-line laptop bag that had a slight bulge in one spot because of the charger. The check in desk tried to make me check my carry-on at an extra cost as they considered my laptop to be an considered a carry-on item rather than a small personal item. I moved the charger from the laptop bag to the carry-on so there wasn’t a bulge anymore, but they still tried to claim that I had a large laptop bag so I would check my carry-on suitcase. Luckily I had printed out the baggage restrictions and asked them to compare the pictures and they eventually backed down. It’s the only problem that I have ever had with Air NZ, but it has definitely made me more weary of their carry-on restrictions. On a recent trip to Paris, I put my coat and a canvas Trader Joe’s shopping tote (U.S. grocery store that sells various shopping bags, canvas and otherwise) on top of my clothes in my checked bag. I was afraid I was over the weight limit.. I was over a couple of kilos so I pulled out my overcoat and the Trader Joe’s bag. Stuffed my coat and my purse into the canvas tote. Voilà, I was under the checked bag weight limit and still only had two carry-on’s, the canvas bag and a back-pack that had my electronics (tablet, laptop, DVD player). I was taking a month long trip and was flying Air France. I love Air France and I find their carry on rules pretty easy to work with. This is now my “over weight limit” plan for all flights, canvas bag and clothing/items I can put into it go on top. No more rummaging through my entire luggage for the right thing to take out. Also, the canvas bag came in handy as a laundry bag (throw in with the rest of the wash), grocery shopping, farmers market shopping. Now I always throw one in my bag and always find a use for it. Weight very little and folds flat. Help me please! I have never been on an airplane before and I am planning a trip to China to see my fiance for a month. I just have a question about personal bags. I am using American Airlines and I was just wondering what the size of the bag I should use. I don’t want to use something too big or too small. I have looked on their site and it is very useless to find sizing. I was thinking about using my London Fog Chatham 16″ Satchel Tote (16″ x 10″ x 8″). Has anyone used similar measurements for their personal bags? Does it work with putting it under the seat? I am lost when it comes to knowing about what bags to pack. I am glad I found this information. Thanks! Hi Jen- That size sounds like a large purse and would work well, most likely 🙂 I’d double check to make sure you are flying AA the whole way there and back; if it’s a codeshare, or you switch planes/airlines, I’d just make sure that one doesn’t have any exact sizing to deal with. Are you bringing your luggage as carry-on, or are you checking it? Can I bring a small Luggage and a purse with me on the plane ? Hi Adriana – Most of the time, yes. But you need to check with your airline. Each airline has specific restrictions for carry-on luggage that can include size, weight, and number of items. We are flying Icelandair from Minnesota to Germany. One thing I discovered after weeks of scouring sites is that, when departing from U.S. , TSA carryon rule of one bag and one personal item overrules Icelandair rule of two carryons and one personal item. I try to always use the most-restrictive rules as my guidelines. Hi Rashida, You may want to contact United to see about their requirements. All airlines are different. Can you fit the weekender under the seat in front of you? Is it clearly much smaller than your carry-on bag? Its my first time flying and I am going to Hawaii on American Airlines and coming back with Alaska Airlines. I was wondering if I am allowed to take my purse, a carry on and my 8 month’s year old diaper bag? Please Help! Hi Genesis, You should contact American Airlines to get their official ruling on this. If your purse isn’t too big, it probably wouldn’t be a problem. We’re taking a super flight on United to Vegas. We can only bring on a personal item no larger than 9in x 10in x 17 that fits under the seat in front. I have a small two wheel samsonite but how do I measure it to make sure I’m within those measurements. I can’t find anything that says width length depth…I am one that never carries on more than a backpack with purse reader n chargers cause my trips are usually 8-10 days. Thanks for all the tips! Hi Roberta – Get out a tape measurer and check the dimensions of your bag. Or, contact Samsonite with the make/model of your luggage. Otherwise, switch to a backpack that you know will fit under the seat? I Love the Samsonite under the seat bag. I purchased 3 Dot and Dot packing cubes 5″ x 14″. I am able to get 10 days of clothing in it plug a small toiletry bag. The cube fit in between the handles st the back of the bag. Happy travels. Hello my name is Ana and this is my first time flying and with my 2 year-old son and i am debating on taking the stroller and a car sit . Already talked to a delta representative and she said i can take the car sit but i don’t really know how dificuly is going to be for me since i am flying by myself with my son and carrying these 2 items.? I am flying on frontier down to Orlando from Chicago. I hear we are only allowed a personal item, but I can’t find their rules/regulations anywhere. I was planning to use my “weekender bag” from 31. Does anyone know if that would work for my personal item? I am only going for a short trip, Friday-Sunday so won’t have much as far as clothes… what do you think? You’re right that a personal item can go a long way depending on the bag you choose. They don’t usually check size or weight on them so you can store your heavy items in there! Can I pack my medications in my duffle bag?. It’s been a long time since I rode an airplane and rules does change. I am flying from Hawaii to Virginia on United. I get dehydrated easily. Can I carry a large water bottle such as s Yeti? On AA from Dallas to Lima Peru, do you think I can you take a small wheeled 16” Travelpro as my personal item, and a 22” wheeled carry-on? Thanks! According to the AA website, the personal item should be no larger than 18 x 14 x 8 inches and fit under the seat in front of you. If your 16″ Travelpro fits that criteria, then it should work. However, I would highly suggest contacting the airline’s customer service to confirm.